Preschoolers love to participate in art activities. Things like drawing, coloring, painting, cutting and pasting are the common forms of art for this age group. Let's think outside the box and encourage the use of different art mediums to create preschool texture crafts. Using texture and dimension in art is a way for children to create with their senses of sight and touch. Many art projects that use texture can be made from recycled materials found around the home. This type art encourages the children to explore and create without worrying about the finished product. Here are a few projects to try. Young children will enjoy making this junk collage and then embossing it with heavy-duty aluminum foil. Variety of objects for the collage such as large paper clips, screws, washers, coins, beads, heavy yarn or twine, etc. Invite the children to plan a design with the provided collage materials. Help them to glue the objects to the cardboard (they will need to use a large amount of glue or a heavy-duty glue for metal objects). The next day, mix more white glue with some water in a container (2 parts glue to 1 part water). Brush this glue onto the square's surface, even over the collage materials. Lay a sheet of heavy-duty aluminum foil over the surface of the design. Gently mold it to cling to all the lumps and bumps of the sculpture. Tuck the edges of the excess foil over the sides of the cardboard square. Encourage the children to run their fingers lightly over the surface of their textured art project and tell you what objects are underneath. This is a fun craft to make with the children if you have an oven in your facility. Combine flour and water in a bowl stirring until you have a paste-like mixture. Invite the children to coat the cotton balls in this mixture. Work gently with the cotton, making sure not to squeeze them. 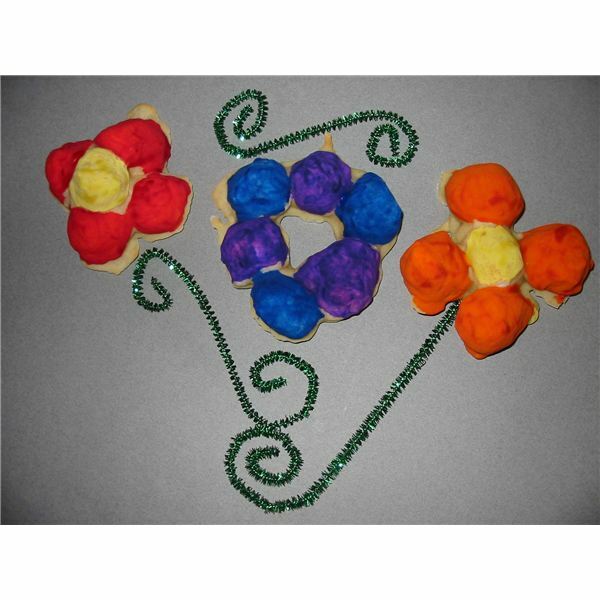 Take the cotton balls and form flower shapes or other designs onto a waxed or parchment paper lined cookie sheet. The balls must touch each other. Bake at 325 degrees F for about an hour or until the cotton is lightly brown and hard. When cool, the children can paint these textured creations with tempera paint. Ask the parents to help you stock up on all kinds of cardboard tubes for this sculpture. Help the children to make a geometric-type sculpture with cardboard tubes. Cut the tubes in different lengths. Set the cylinders onto the cardboard base and glue them to form a design or abstract. Make sure to put enough glue on the bottom of the tubes so they will set upright. Let this sculpture dry thoroughly. When dry, the children can paint some of the tubes or open areas of the background, if they wish. Preschool children love to do crayon rubbings. The teacher or children can make templates to use with the rubbing technique. Draw a picture or design onto squares of thin cardboard. Help the children squeeze a bead of glue following the lines of the drawing. Let these dry completely. 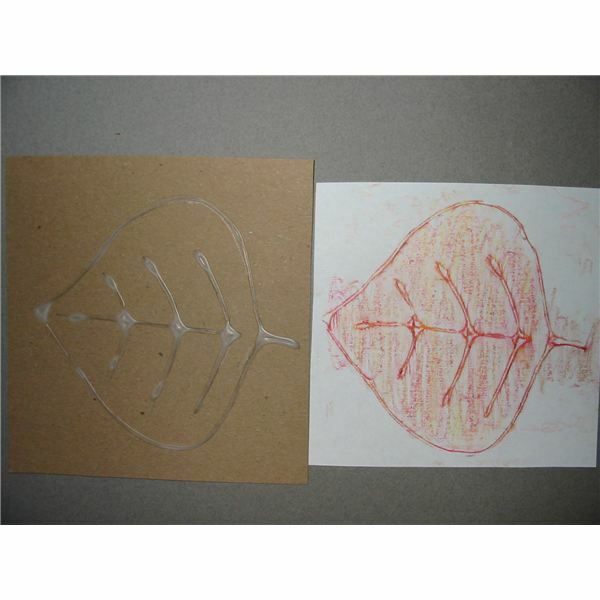 The next day, invite your students to take paper and crayons (paper peeled off) and do rubbings. Place the thin white paper over a template and rub. The design will show through. These templates are handy to make simple preschool texture crafts. Store them in a box for future use. These are a few ideas for making textured crafts along with dimension, please add your own ideas in our comment section below.